If the Hezbollah movement was not present in Syria, Daesh* militants would have reached Lebanon, Lebanese parliament speaker Nabih Berri said. "As for Hezbollah, it is in its own country, because if it had not been for Hezbollah there [in Syria], Daesh would have been here [in Lebanon]," Berri said. The parliament speaker noted that Lebanon and Syria were "like twins," as nearly 1.5 million Syrians reside in Lebanon. "We do not consider them outsiders… Everything that happens in Syria affects Lebanon," Berri stressed. 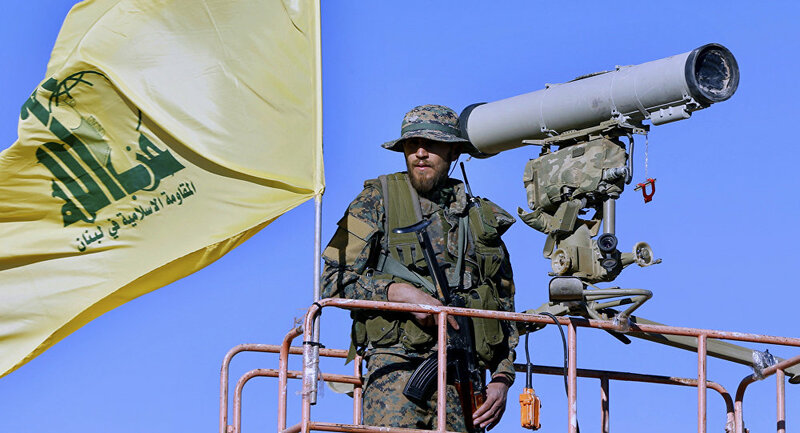 The Lebanese Shiite Hezbollah movement and Iran will not leave Syria until the country is fully liberated from terrorists and restores its territorial integrity, Lebanese parliament speaker and Hezbollah's closest ally in the country Nabih Berri told Sputnik. The Lebanese parliamentary speaker noted that Iranian troops were present in Syria at the request of the Syrian leadership, just like the Russian Aerospace Forces, while the United States, which has demanded the withdrawal of Hezbollah and Iran, had deployed their troops in the country without the permission of the Syrian government. "[These forces will not be withdrawn] until Syria is liberated and regains its territorial integrity," Berri said. The Syrian crisis cannot be settled without negotiations between Russia, the United States, Turkey, Iran, Saudi Arabia, Egypt and one of EU states, Berri said. "I believe that without negotiations between Russia, the United States, Turkey, Iran, Saudi Arabia, Egypt and at least one European country, whether it is France or any other [country], it is impossible to resolve the Syrian crisis… Political solution cannot be reached without agreement between these parties," Berri said. France has not requested Lebanon to mediate in organizing talks between the regional countries on Syria, Berri said. "Lebanon does not play any role in this topic. It, of course, can benefit from the settlement in Syria, but it cannot impose this decision," Berri said, when asked whether France had requested Lebanon's help in organizing regional talks on Syria. France and the United States have not asked Lebanon to assist in establishing contact with Syrian President Bashar al-Assad, the parliament speaker added. "No. What happened is an exceptional event in history. I do not think that there was something like this, at such a level in history," Berri said, when asked whether Washington had asked for Beirut's assistance in contacts with Tehran. In late May, French President Emmanuel Macron said that dialogue with Damascus, as well as with opposition and all the regional powers, which were interested in stability, was necessary to achieve political settlement in Syria. The relocation of the US Embassy to Jerusalem delays the prospects for a settlement in the region, Berri said. "Of course. Negotiations cannot be successful without Jerusalem. Earlier, disagreements over Jerusalem were on the ground, but now they have moved to heaven," Berry said, answering the question whether such a step puts such an opportunity out of reach." In December 2017, US President Donald Trump recognized Jerusalem as the capital of Israel and ordered the US embassy to be relocated there from Tel Aviv. The decision fueled unrest across the Middle East and has been condemned by a lot of other countries. The US sanctions against Iran are unlikely to affect Beirut's strong cooperation with Tehran, Nabih Berri stated. "We have excellent relations with Tehran, there has not been anything new [in the light of the US Iran-related sanctions]," Berri said. The politician, however, noted that the Lebanese government would have to adhere to the US sanctions regime. "My reaction is one thing, the reaction of the Lebanese government, as the official one, is another. The Lebanese government has to abide by the sanctions. If there are sanctions against a certain individual, it cannot interact with him. It will not place him into custody, but will ban his interaction with any [national] bank," Berri explained. In late May, Washington imposed sanctions on six individuals and three entities in Iran over their alleged role in human rights abuses. The sanctions target Director-General of the Islamic Republic of Iran Broadcasting Abdulali Ali-Asgari, Ansar-e Hezbollah leaders Hossein Allahkarah, Abdolhamid Mohtasham and Hamid Ostad, Secretary of Iran's Supreme Cyberspace Council Abolhassan Firouzabadi and Iranian judiciary official Abdolsamad Khoramabadi. The restrictions also affect the Ansar-e Hezbollah paramilitary organization, Evin Prison and Hanista Programing Group. On May 8, US President Donald Trump announced his decision to withdraw the United States from the Iran nuclear deal, formally known as the Joint Comprehensive Plan of Action, and to reinstate sanctions related to Tehran’s nuclear program.